Inspired by classic Victorian and Edwardian designs, the Bayswater collection will bring elegance and style to your bathroom. 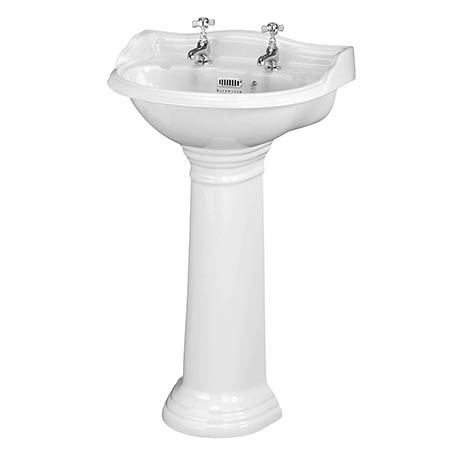 This Porchester basin and full pedestal is manufactured from vitreous china for a durable and high quality finish. It features two tap holes and a decorative chrome finish overflow cover to complete it's classic look.